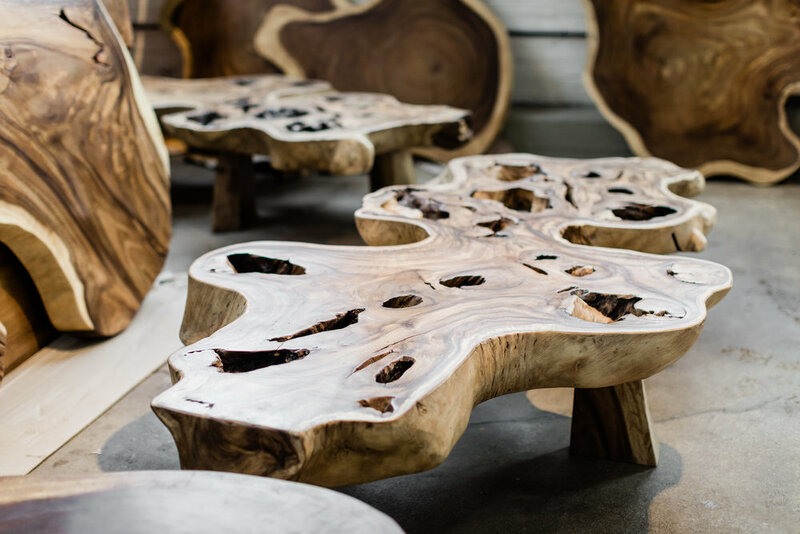 A wide selection of the most beautiful Authentically Sculpted coffee tables. Each piece designed specifically to meet the needs of different furniture configurations. Sculpted from single slabs of specially selected pieces of wood. Long sculptural coffee tables are perfect for allowing use from your sofa and chairs in a classic living room configuration. Designed to be used in pairs or alone in front of your sectional. Make your coffee table a spectacular focal point, eliminating the need for end tables. This one is perfect in front of a curvy sectional or sofa. Spectacular and extremely functional we have the perfect Coffee table for your Great Room, Living Room, Den, Theatre Room.